When it comes to scandal, secrets, and misleading information, documentaries about big business are one of the best ways to uncover the real facts. They’re controversial and shocking, but an important component in the David and Goliath fight that often occurs between consumers and mega-corporations that dominate our world. 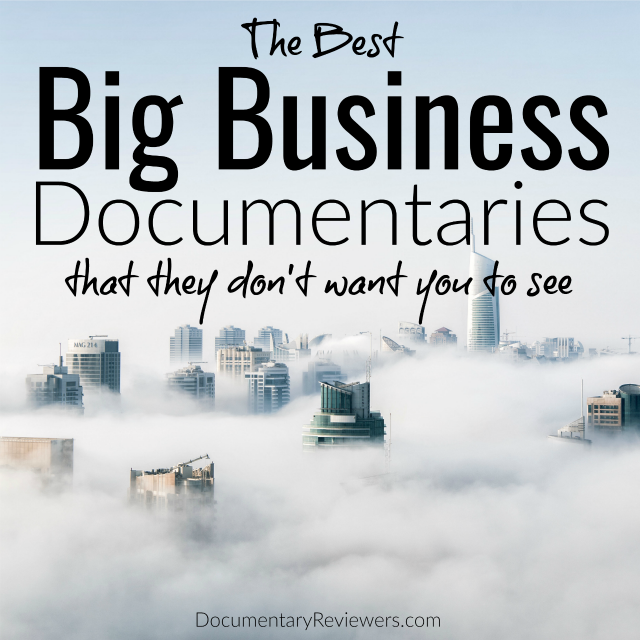 And these big business documentaries are no exception. Each documentary on this list reveals important, eye-opening facts about everyday purchases from bottled water to tank tops. And more importantly, they shed light on how powerful big businesses have become when it comes to not only our purchasing decisions, but the political decisions that drive government regulations. The True Cost is one of the most eye-opening documentaries about big business on this list and it’s one that affects everyone…because it’s about the clothes we wear. Most of us know that third world countries bear the awful burden of making the vast majority of our clothes, but until you actually see the effects, it’s hard to truly understand the impact. In addition to this devastating exploitation, The True Cost will introduce you to a sect of the trillion dollar fashion industry that you may not realize exists (but probably partake in) – fast fashion. When it comes to big business documentaries, The True Cost is an absolute must-watch. When it comes to natural resources, there are many that we know are big business – like oil, gold, and diamonds. But there’s one that’s even more critical, but just as profitable for big business: water. In fact, over $100 billion is spent every year on bottled water and Tapped aims to reveal just what that means for consumers. And the facts that Tapped reveals are shocking and startling. It’s not just that we’re paying companies like Coca-Cola and Pepsi for bottled water that most likely came straight from the tap. It’s that we’re also paying for water that is unregulated, likely contaminated, and in a container that will harm not only our bodies, but also our environment. Who knew that there was a lot of money involved in poverty? And Poverty, Inc. shows you just the impact that corporations and governments can have on impoverished societies when they “help” them. While some instances may be simply causing unintended consequences, others are just plain careless. But the real devastation occurs when these companies or governments stop helping communities that have built a dependency on them. Poverty, Inc. is shocking, eye-opening, and really important for everyone to watch. The raging gun debate in the United States is likely to last for a long time and not just because of the love-hate relationship that Americans have with guns. It’s because the production and sale of guns is big business…really, really big business. According to Under the Gun, there are more gun stores in the US than McDonalds and Starbucks combined. As Under the Gun does an amazing job showing, this billion dollar industry, led in large part by the NRA, has not only a hand in our pocketbooks but also a hand in our politics. This is a great documentary that will pull at your heartstrings and shed a lot of light on a big business that you may not know everything about. If ever there was an area of our life that big business should stay out of, you’d think it would be the food we eat. In Food, Inc. you see just how wrong that thinking is. Big business has an outrageous influence over our food…and the sad part is that they’re way more deceptive than you would ever imagine. The documentary focuses on the four most dominant food industries: beef, chicken, corn, and seeds. You not only get a glimpse into some very deceptive practices, but also an idea of how politically powerful these industries have become. Food, Inc. is one of the most eye-opening, shocking, and frankly disturbing documentaries you will ever see about our food and how it gets to us. It’s a must-watch documentary for everyone, so if you haven’t seen it before, move it to the top of your queue! 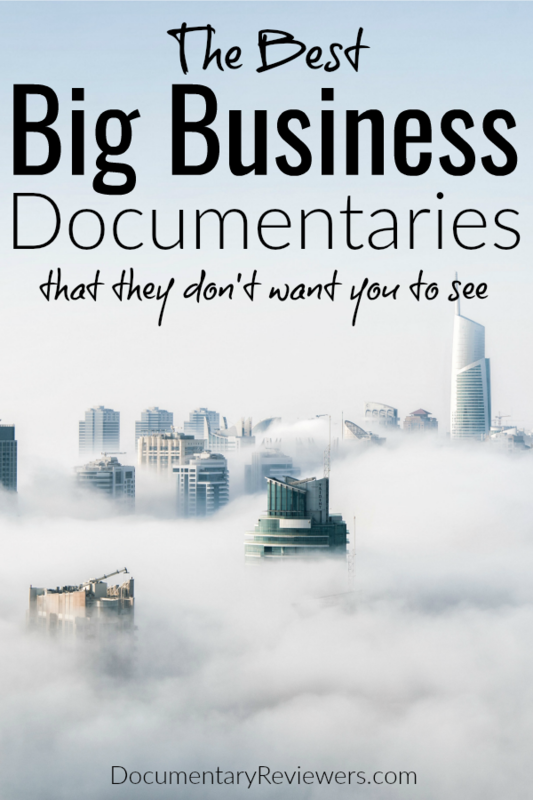 Corporate greed can have a lot of unintended consequences and these big business documentaries show just how devastating they can be. But the power of information can go a long way, so change may be afoot!